One of the largest toy companies in the world, Mattel has been producing toys since 1945. We carry a large range of Mattel product for boys, girls, and collectors, including, but not limited to the following: Barbie, Hot Wheels, Disney, Dora the Explorer, Fisher-Price, Little People, Matchbox, Board Games, Masters of the Universe Classics, Ghostbusters, Toy Story, Polly Pocket, Batman, DC Universe, and Green Lantern. Created in 1959, Barbie has become the most recognizable doll in the world. 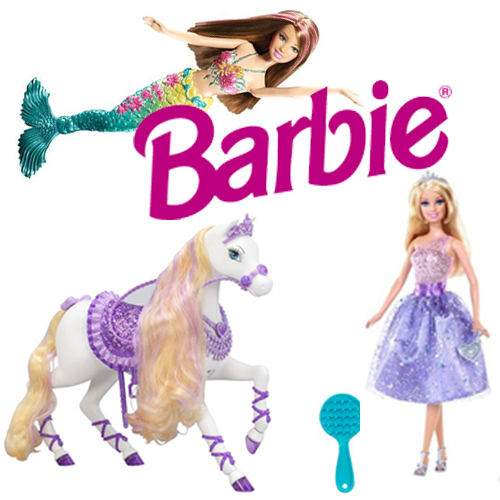 We have a large doll section with a wide variety of Barbie dolls and accessories. 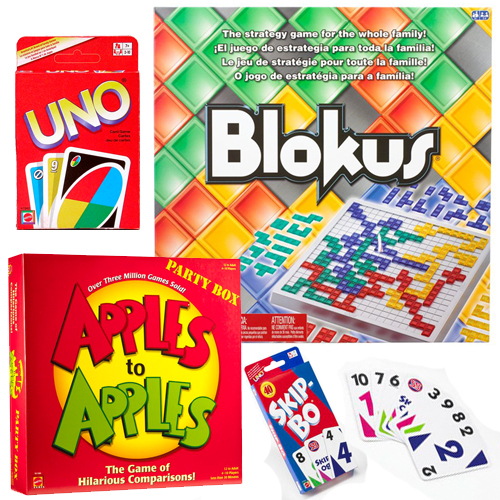 We carry a wide range of Mattel games for all ages. Lightning McQueen and the gang are back with some new friends in Cars 2! 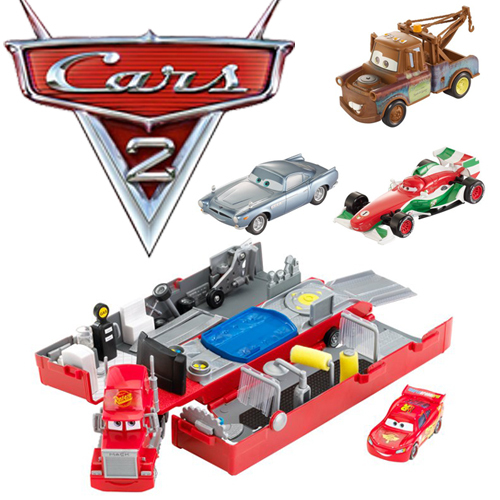 Check out the new basic Cars assortment, pull-back Cars, and oversized Cars, as well as Cars from the original movie and Cars Toon. We also sell Cars comic books. Mattel produces action figures for the Batman Brave and the Bold cartoon series, the Green Lantern movie, as well as the DC Universe of comic book characters. The Green Lantern movie figures are 3 3/4" and the movie masters line is a 6" line in which each figure contains a piece to build the Paralax figure. 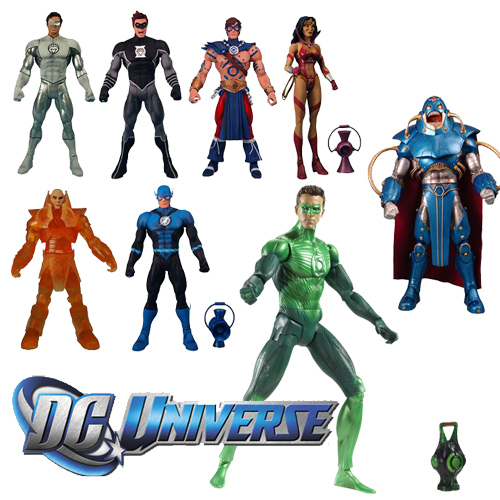 The DC Universe action figures are an ongoing series featuring mainstream and obscure characters from the comic books. Each assortment has a build-a-figure, in which every character in the series comes with a part to build it. 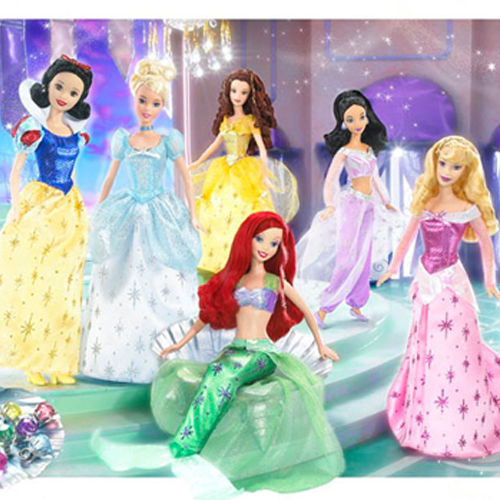 We carry Disney Princess dolls, baby dolls, and Polly Pocket sized dolls. 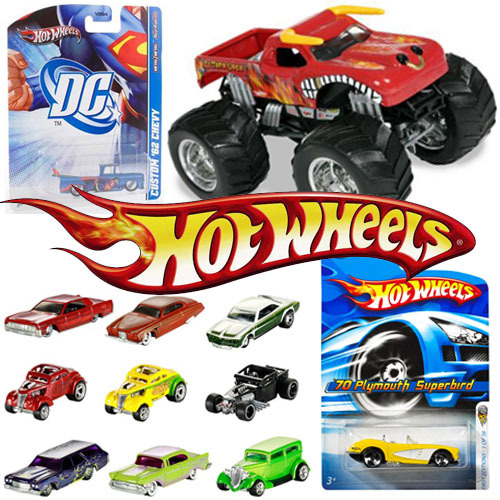 We have a huge selection of Hot Wheels for collectors and children. We carry basic Hot Wheels, Garage Series, Monster Jam, Racing Champions, Hot Wheels tracks/sets, and much more. 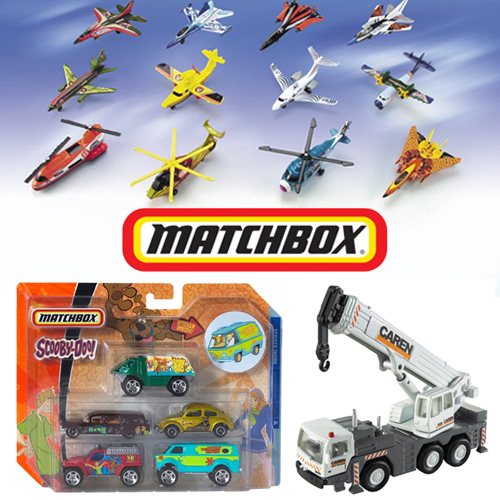 Matchbox produces a variety of vehicles including licensed 5 packs (Scooby Doo, Dora, Batman, Mickey Mouse, etc. ), Skybusters airplaned and helicopters, and Real Working Rigs (construction vehicles that have moving parts). Polly Pocket dolls are approximately 3 inches tall and come with clothing and accessories to customize your own doll. Woody, Buzz, and the gang are back in Toy Story 3! 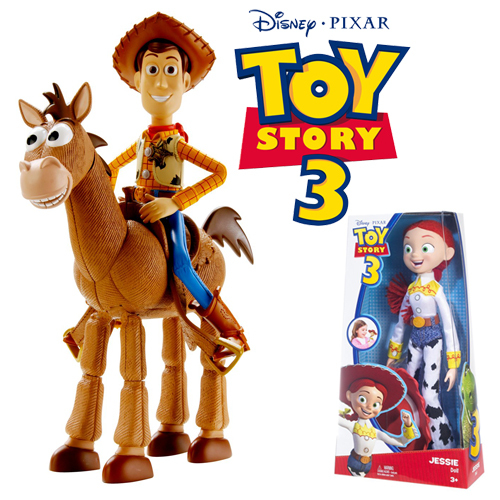 Re-live the adventure with the action figures, playsets, and dolls. Bring the smackdown with your own wrestling action figures! We carry classic WWE figures as well as basic and elite figures of current wrestlers.